Welcome to Polynesian Village! This condominium complex sits right on shore near the Gulf, giving you one of the best locations you could ask for during your trip! Emerald Coast by Owner is proud to be your premiere vacation rental service for this lovely complex, offering you a number of elegant properties with luxurious comforting features! While you’ll enjoy being at your condo and on the beach in front of it, you must check out what the area has to offer! There’s simply too much fun down here, a week might not be long enough to try everything! Some common things to do include paddle boarding, Shipwreck Island Waterpark, deep sea fishing, shopping at one of the many stores Pier Park has to offer, golfing, jet ski rentals, boat tours and so much more! Lastly, the food down here! We highly recommend you try a meal out a few times during your stay, because there’s so many great seafood and traditional food spots serving you with excellent service and drinks also! 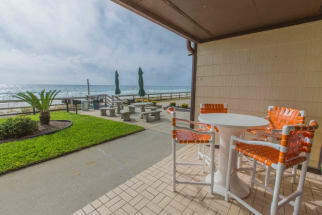 Relax in your next vacation home with Emerald Coast by Owner. Book directly with the property owners or managers through ECBYO. Refer to the contact information found on each listing to send an owner a message, they will gladly assist you in the booking process or answer any questions you have. Book your next Polynesian Village vacation rental with emeraldcoastbyowner.com and save!